Unlike Focuster, Google doesn't update instantly which sometimes may cause such issues. 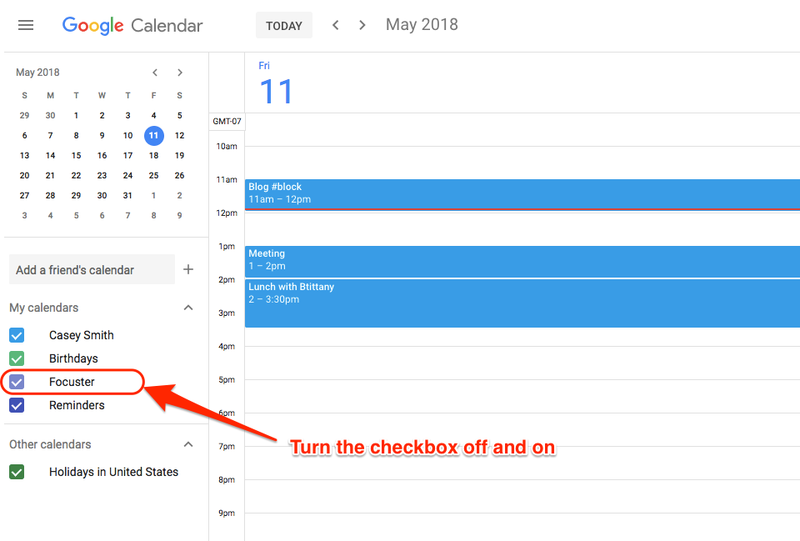 Turning the checkbox for Focuster calendar off and on will solve it and you'll be able to see your tasks in Google calendar. Please get in touch with us if it doesn't help or you have any other issues.